Thane is a city that has a lot to offer its residents. Property demand in Thane has elevated today as this city grows in popularity. The real estate market in Thane has a lot to offer in terms of residential projects. Courtyard is a new residential project in Thane by Narang Realty that offers luxury, comfort and so much more. Spread over 7 acres, this development contains fabulous towers that offers variants of 2BHK and 3BHK Vaastu-compliant apartments with carpet areas starting at 542 sq. ft. and going up to 1319 sq. ft. With a wide range of options available, you can pick your ideal residential space within a matter of minutes. Courtyard Thane is an exclusive residential development that packs a good punch of luxury and comfort in every corner! You will find apartments that provide good ventilation, natural lighting and contain premium flooring, large doors and windows, elegant kitchens, multiple safety features and more. This development also offers a plethora of external amenities that will always keep you happy and entertained! They include a clubhouse, sports facilities, play-area for kids and a treehouse, café, swimming pool, herb garden, theatre, multipurpose hall, Wi-Fi connectivity, wide open greens, conference room and 24x7 security. 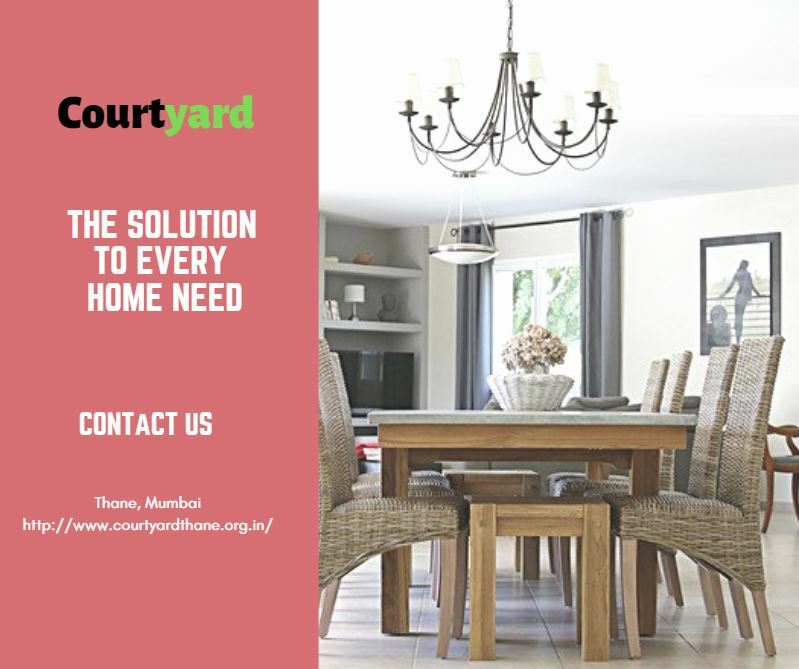 Situated at Pokhran Road in Thane, Courtyard Pokhran Road has a number of landmarks like schools, colleges, malls, shopping centres, convenience stores, cinemas, clubs, pubs, lounges, banks, ATMs, hospitals, medical centres and more in close proximity, offering a life of convenience each day. Needless to say, no place is hard to find when residing at this development. Starting at a price of Rs.1.37 Cr. and moving upwards, the Courtyard price is reasonable and totally worth the supreme features that it has to offer. Book your residential space today and experience a new wave of luxury that will satisfy your soul!